This week was supposed to be a rest week with shorter runs but it didn’t work out that way. Monday’s run was the usual 30 minutes. 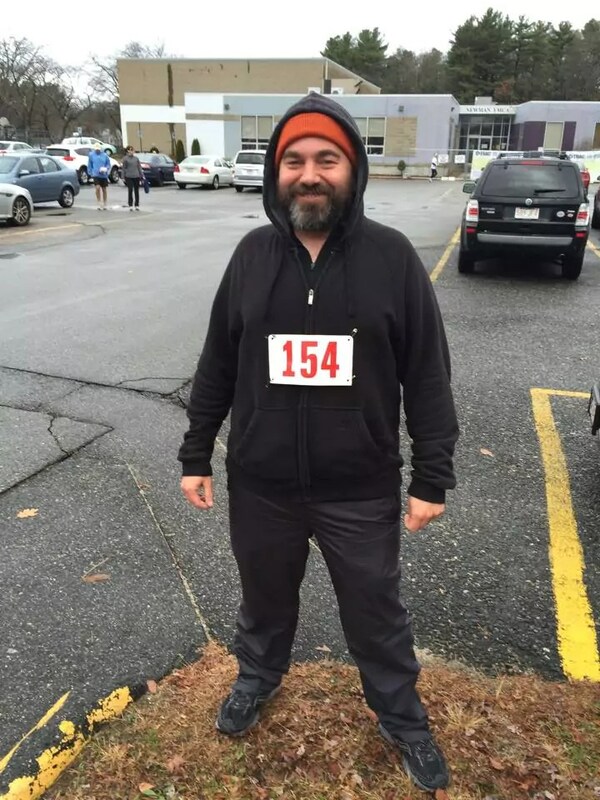 I ran super slow since I last week I signed up to run the 2014 Turkey Run today and I wanted to be fully rested. I was worried that I would oversleep so I kept waking up throughout the night to check the time. Exhausting. Finally dragged myself out of bed for a small breakfast of toast, eggs, and tea. My friend, Michael, picked me up around 7:30 and we drove to Seekonk to check in at the YMCA there. It was 34 degrees this morning so I bundled up to keep warm during the run. I should’ve ditched my hoodie because ten minutes into the run I was sweating. With my number pinned over I had no way of taking the hoodie off and it made for a slightly uncomfortable run. Thankfully the course was reasonably flat and well marked. About 25 minutes into the run I started thinking I would never beat last Saturday’s practice run time. I felt so slow even being somewhere in the middle of all the other runners. I had no way to gauge how much farther I had to run until we hit the main road again. Once we did I could tell I would be close to my previous 5k run time. Sure enough, I clocked in at 34 minutes on the dot. A whole 9 seconds faster. Haha! Woot!